There will be no food blotter next week, since I assume you’ll be busy eating Thanksgiving dinner (and I’ll be out of the country). So here’s what you’ve got to tide you over until the first week of December. 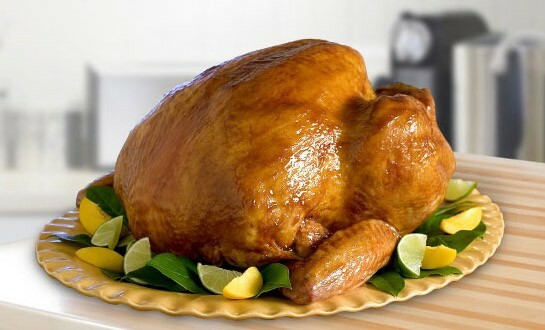 Butterball, the nation’s largest turkey supplier, announces a turkey shortage! A shortage of fresh, large birds specifically, not the frozen varieties. And other suppliers say there will be plenty. I’m always skeptical these announced shortages of seasonal foods are just a marketing ploy to make you run out and buy one, but Butterball’s reason just sounds sad: “We experienced a decline in weight gains on some of our farms causing a limited availability of large, fresh turkeys,” a Butterball spokeswoman said last week. Does anyone else picture depressed turkeys on a hunger strike? Or eat out for the holiday — check out the Thanksgiving menu at Masselow’s. Make sure to check out tomorrow's Cat Friday post for a special Thanksgiving edition on popular holiday dishes that cats (and dogs) should definitely avoid. If you’re looking for wine to get you through this festive season, this weekend is the Holiday Wine Festival. Another Dutch Bros. location is coming to Nevada and Francis. Last week we wrote about a controversy over the Dawn of the Donut logo, and whether they copied it from an artist who does zombie-donut art and figurines. It sounds like that’s on its way to being resolved, and DOTD also has a food truck in the works. Read more about that in today's Entree newsletter. Also included in this week's edition: more news about Batch Bakeshop's storefront plans, which we mentioned here last week. Rock City Grill is apparently losing their executive chef after 13 years, and is seeking a new one. Also, this week’s story on the Garland Theater makeover includes an update on former Casper Fry chef Joshua Martin — he left to teach in the Inland Northwest Culinary Academy and developed the Garland’s new snack menu. Hopped Up Brewing got its security camera stolen — right after the thief looked straight into the camera. SpoCOOL has been rolling out their Best of Spokane results: Coeur Coffee wins Best Coffee Shop; Iron Goat came away with Best Brewery.